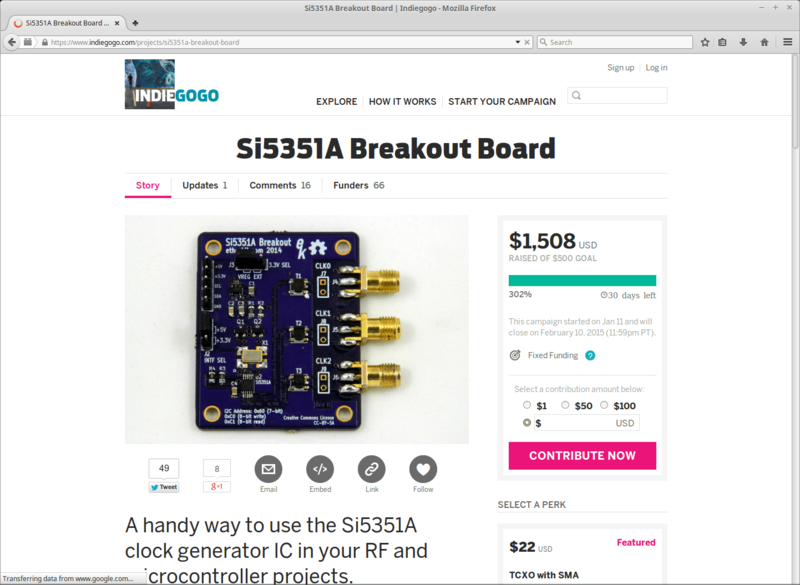 I’ve contributed to your IndieGoGo campaign, and I’m looking forward to the breakout board. I’ve bought a breakout from Adafruit of the 5351b2. Do you know if your GitHub library will work with the b2? The Adafruit library has no routines for calculating the PLL and divider parameters on the fly in real time. Instead, it relies on Si’s calculator app–useless for VFO use. BTW, my current QTH is Medford, but I’ll be moving to Portland in June. I’m hoping to be involved in the ham clubs up there. Thanks for your support! The plan is for the library to support the other variants eventually, but first I’m focused on finishing the code to make it work very well for the A3 variant. Once that’s done, I do hope to get my hands on some of the B and C variants and adding the code to support those ICs. If you move to the westside, you may want to check out OTVARC. I’m not a member, but I have enjoyed my dealings with them, including Field Day at Stub Stewart State Park. I’ve now tested the Adafruit board with the Etherkit library and it works great in all respects. Adafruit says the chip they’re using actually is a 5351A, so I guess I’ve been misreading the markings on it. Now that the campaign perks are being shipped, it will be interesting to compare the two boards. From the last photos of the Etherkit board sent out, it looks like each of the clocks has an output transformer. Am I seeing that correctly? The Adafruit board takes the clock output pins straight to the connector header. They’re not using a TCXO, either. Just a regular smd xtal. Can you please let me know where I can purchase a breakout board from? 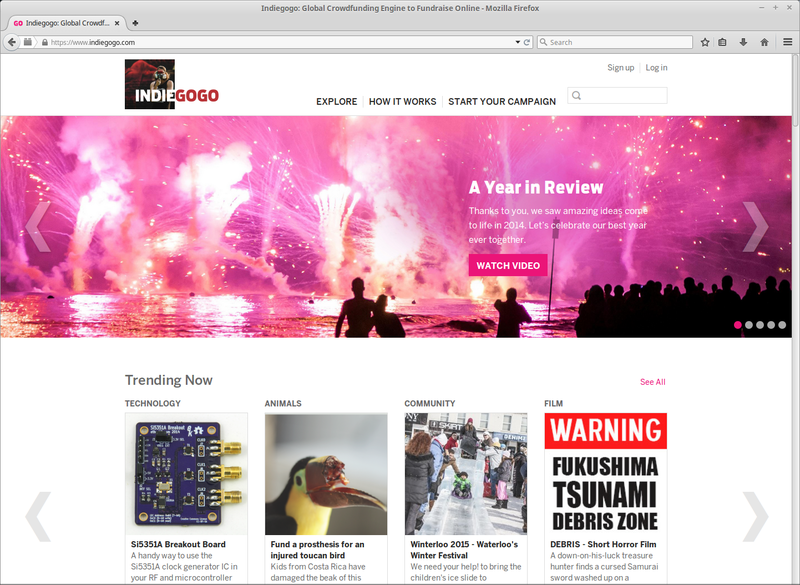 The indiegogo campaign seems to be closed and there’s no link towards an order form or something alike. This is really great! I’m glad your funding project is going so well. I bought 3 of the boards already from the board makers or I would also get one of these. Unfortunately, all three of mine have been gathering dust while I am working on my LPFM radio station project. If I ever get that off the ground I hope to get back to the receiver I was building.